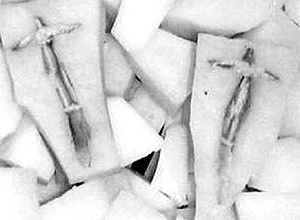 Many people await and expect the emergence of the Christ but hold a very distorted view of how that will affect humanity. Many await Him as a Spiritual Magician Who will cancel out their and others’ shortcomings, and so establish everlasting peace. Theirs is a very passive view of this vast and complex happening. For Maitreya, Himself, it is an opportunity to come into a dynamic interaction with humanity, to establish the Principles of the Divine Plan, and to inaugurate the era of Right Human Relationship. This entails the active response and participation of men and women everywhere: a worldwide, continuous process of change in outer structures and inner perceptions. Maitreya does not see as particularly open and fruitful those areas of the world where Christians are in the majority. Nor do other major religions inspire in Him more hope of understanding. To be sure, in all religions are men and women who are ready to respond and to act for the benefit of all. Likewise, in every walk of life, in every country in the world, people await the signal that will summon them to action on behalf of their brothers and sisters, known and unknown. Many await the Christ as the Judge, sent to chasten and punish the lawbreakers. Maitreya, the Christ, is a Teacher, and will indeed teach man the Laws of Life, but a Judge He never was, nor does punishment hold a place in His vocabulary. He will seek to inspire men to know themselves as souls in incarnation, travelling a journey of self-discovery together, and helping each other along the way. He will affirm that competition hinders and deflects men from their path, rendering sterile each glimpse of the soul’s nature. Men have strayed far from that Path. Commercialization has humanity by the throat and is squeezing every generous thought and gesture out of their lives. The souls of men can endure little more of this oppression and are crying aloud in their agony and frustration. They wonder, then, at the upsurge of crime and mayhem committed by the young in every land. Maitreya will acquaint men with the origin of wars and military action around the world. He will show how even the climate and weather are disaffected as a result. Men have much to learn about the effects of their actions, and the need for discipline and care. The Christ comes to teach. Men, free will intact, must respond in order to grow. The Christ, Maitreya, never uses force, even if thus we would the sooner learn. He knows that only that which is undertaken by man’s free will is lawful and likely to bear fruit. Q. The world’s economic crisis looks set to continue gradually sliding towards a point of no-return. It makes me wonder whether Maitreya has ‘pulled the plug’ or ‘cut off’ all energy to the international financial system. Is it possible for Him to cut off energy to such systems? A. Maitreya could do this but He would not do so. It would be a complete infringement of our free will which the Masters never do. Q. US Defence Secretary Robert Gates has been in Europe lecturing at, appealing to, and threatening members of NATO, saying that NATO countries cannot opt out of fighting the war on terrorism and that their troop commitment is needed to achieve “victory in Afghanistan” and to defeat Al-Qaeda. (1) Is it time for NATO countries to refuse to support the US so-called ‘war on terror’? (2) Should NATO re-think its remit? (3) If the populations of Europe are against further military commitment and make their stance known, forcing the US to go it (more or less) alone, would that hasten US withdrawal from Afghanistan and Iraq? A. (1) Yes, if they have the will and the nerve. (2) Yes. (3) Yes. Q. Chad is a very poor country, but it has oil. Is this the real cause of the turmoil and fighting there at present? Q. A number of African countries are experiencing what is called the ‘curse of natural resources’ or the ‘curse of oil’. Rows over who gets the benefit from oil and mineral exports are said to be key factors behind conflicts in Nigeria’s Delta region, Angola, the Democratic Republic of Congo and numerous other African nations. (1) Is this really the case? (2) The World Bank and the IMF are frequently involved; is their involvement also a factor in the conflicts? Q. Would the use of a truth and reconciliation approach, as now advocated by Kofi Annan, help solve the current civil conflict in Kenya? Q. Was Maitreya present at your Amsterdam lecture on 26 September 2007? A. He was present until the break. When I say Maitreya was present, He was not necessarily present as He is, as He looks. Maitreya and many of the Masters use what is called a ‘familiar’. They create a figure, a man or a woman, sometimes a child, into which part of Their consciousness is deposited. That ‘person’ looks totally acceptable as a real person. They can do this very quickly. Maitreya can make Himself invisible and then come back into a room as a different person because it is all done by thought. He just thinks of Himself as this rather beautiful young woman or an aged old woman with one tooth. Very often there is something odd about it…. Q. Were the Buddhist monks who were protesting in September 2007 against the government in Burma inspired by Maitreya? A. No they are not inspired by Maitreya, not directly, but they are inspired by the energy which Maitreya pours into the world. This creates the desire in people everywhere for freedom, for justice, for, in other words, right relationship. If there is no freedom or justice there cannot be peace or right relationship. You can see this all over the world. People everywhere are demanding their rights: freedom, justice and the sharing of the world’s resources. All of this comes from their response to the energy and, to some extent, to the thoughts and ideas of Maitreya from a subtle level. Humanity, then, is stimulated and activated to demand these things. In this way the educated, focused will of humanity creates a world public opinion against war, against terrorism, and calls for justice and sharing. Thus Maitreya does not impose, but humanity, stimulated by Maitreya, does the work. Millions are marching already throughout the world, not everyday nor week, but this action will grow more and more until the governments of the world will be faced with thousands and sometimes millions of people demanding their rights, demanding work or peace or sharing and justice, until the governments have to concede. Maitreya is stimulating this all the time. He goes to every big march; at every big demonstration Maitreya is there for part of the time. Q. What kind of activities are destructive to group work? A. The most important thing in this work is to create the right kind of impression so that others see you as a model of right relationship. For example, people may come to a meeting and hear the group members speaking about the ideas. They may feel interested. They recognize the suffering of the millions of people which is being discussed by the group, but they also see the way the group members are behaving. They may not like them. The group members may seem to be arrogant. They may seem fanatical. They may be thrusting their ideas at the audience and are impatient with the audience’s response or lack of response. In other words, people judge the information as true or false depending on how group members handle themselves. If you are arrogant, competitive, one-sided, you are not presenting the work in the right way. That would be harmful to the image of the group. If you don’t respect people who come to listen, it harms the image created by the group and the message given. One of the most destructive elements is competition. Some members may feel superior to the others. They may have been longer in the group, for example. They think they know all the answers and that they are more effective than the newer members. That is very destructive and very harmful to right group relationships. Equally harmful are new members who think they have come among old fogies. They have everything to learn, but they think they are the ones to teach. Over-enthusiastic newcomers are very tiresome to the old members and can be very destructive over a period of time. Another activity which is harmful, which may appear to be nothing at all, but is very destructive to group relations is gossiping. Gossiping destroys group relationships because it destroys trust. It should be excluded from every group that wishes to progress. It is a huge barrier to the spiritual tension a group is trying to uphold. There are many things that can harm the group. It is like a tender little plant needing very careful nurturing and looking after. I suppose, as the Master Djwhal Khul has written in the Alice Bailey teachings, that the underlying quality that all groups require is unspoken, non-sentimental love as the basis of their work. They need a deep, profound sense of love and unity in the work they are doing, and a total respect for each individual in the group. That of course is the ideal. 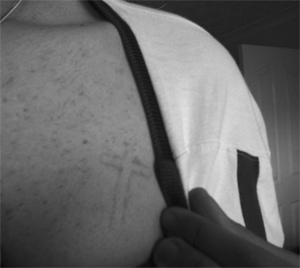 My grandson Joseph, aged 19, who is mixed race English/Arab, and was having a lot of emotional problems, woke up one morning with a sign of a perfect cross outlined in red over his left breast. We took it to be a sign of a blessing. It took a week to fade and things started to get better for him after this. What do you think it might have been? In Vienna, on 4 December 2007, there was an Alternative Energy talk given by Dr Matthes Haug from Germany. He has a team that has developed an effective alternative way to power a car, heat a house, etc, called a Hurricane Energy Transformer (HET). He has also stated that his team has solved the problem of harnessing and using radiant energy from the etheric field, which Einstein and Tesla noted and experimented with. During his talk, I sat in the back row. Just as it began, a man with dark hair, a thick moustache and a dark suit sat down in front of me and to the right. As the talk progressed, Dr Haug was asked many times, very pointedly, if he was going to develop this great new technology with the best interests of humanity in mind? He answered these questions in a way that would please God and Maitreya. Often, when he answered, the man in front of me would clap in an exaggeratedly loud way, even when no-one else was clapping, or he would almost jump out of his seat with enthusiasm. After the talk, and before the question-and-answer period, I noticed him, and even though feeling a bit shy, wanted to find out more about him. I approached him twice, but both times he smiled at me and excused himself, saying we would talk later. I noticed a distinct blue dot in the middle of his forehead. Also, the first time I looked at him, his eyes and the ‘eye-area’ of his face were difficult to see and focus on: it was like he was wearing a mask. The second time I spoke with him it was impossible to even look into his eyes. The eyes and the ‘eye-area’ seemed to dissolve when you looked straight at him – it was like looking into outer space on a dark night. After the question-and-answer session I looked for him but he was nowhere to be found. Was this man Maitreya or another Master? On 31 July 2007, in the afternoon, as we were walking to find a crop circle at West Kennet in Wiltshire, England, we were not sure if we were on the right road and asked the way of a lady who was making a turn with her campervan on the road. She was a slim English lady in jeans, with blond hair and strong blue eyes, aged between 50 and 55 years. She told us she would take us for about a mile and drop us near the Long Barrow. She opened the back door of the camper and we climbed inside a very dark room. We sat on what looked to be a small bed. The lady opened the door again to show us how we could open it from inside if anything should happen. We looked around us: the place was totally closed. It was as if we had changed worlds. The place was full of odd and weird items: on the left there was an old gas cooker held tight with ropes, on the right there was an old furnace for wood and coal with a chimney which looked as though it had not been used for a long time, a large picture of a crop circle half pinned on the wall, and hanging from the ceiling there was a lantern for candles but no candle inside. We do not remember exactly all the other things that were inside but we remember the feeling of being in a different world, we could not find any answer to all the questions this situation raised inside of us. After a ride of about 10-15 minutes, the camper stopped, the lady came to open the door to let us out and told us that we were near the place where we wanted to go. We thanked her a lot and she went away. We had the feeling our meeting was not ordinary. Who was this lady who allowed us to have such an unusual experience? C.S. and N.W., Lausanne, Switzerland. I had met and married a woman with five children in Venice Beach, California late 1967. Early 1968 we bought an old Ford Falcon station wagon and decided to drive across America with the kids, and our two dogs to New York, then visit England, and on to India to study at Sri Aurobindo’s ashram. We had no money but lots of faith that the universe would take care of us. The eve of our departure we had a visitor, a man named Claire accompanied by a young woman. He said that they had come to sit vigil over us before our journey. We were well known in the community so we figured he had heard about our plans. We all ate together and our talk was of an esoteric nature as we were deeply interested in anything spiritual. My wife and I retired for the night and awoke the next morning to find Claire and his companion still there. They bid us God speed and we set off on our journey. I have often wondered about that couple. Could they have been Masters? It was time to leave and the battery of our Austin van that we lived and travelled in was dead. No one in the small village had a battery charger so we decided to charge it ourselves. We placed it in the middle of our living room surrounded by flowers, pictures of beloved saints and gurus, our children and friends, and we chanted mantras, and Om’ed. We put it back in the van, which also had a cracked block because we had failed to put anti-freeze in during the wintry months of our stay. A group of officials from the Palace of Monaco had come to see us off and to the utter surprise of the villagers we started up the van and went on our way. Did we really energise the battery or did we get some help? M.F., Santa Monica, California, USA. In early November 2007, I had just arrived at the Share International Nederland Information Centre in Amsterdam for Transmission Meditation when a group of us watched as several ‘orange balls’ floated across the sky one after the other. The person who first spotted them moving in various formations had seen them as she cycled to the Centre. The lights moved slowly and in a steady, almost straight line; they seemed spherical and made no noise. We counted about 10 craft of some kind. Could they have been spaceships? If so, which planet did they come from? Extract from an edited version of the Question and Answer session with Benjamin Creme from the European Transmission Meditation Conference 2007, held at Kerkrade, the Netherlands, in September 2007. Q. Is it because the media have difficulty relating our information to the facts that they do nothing? Is it a lack of facts or evidence or what? A. It is a fact that Nelson Mandela, after 27 years incarceration, was suddenly released and became the President of the new South Africa. It is a fact and the prediction about it was published in Share International [September 1988]. When I held a press conference, speaking to a group of nearly a hundred journalists, on 14 May 1982 in Los Angeles, I gave the whole story and these journalists were very mixed. Some were complete fundamentalists in their own way. Some were totally against it, but many of them were open. They clapped several times about the need for sharing and justice in the world – hardheaded journalists who never clap for anybody. They clapped this story of mine, this simple story, and at the end I talked about journalists coming to London and going through the motions of looking for Maitreya, and that He would come forward to them if they did that. The BBC had linked this press conference with a programme which was broadcast at the same time. They were there on the spot in London where I said Maitreya was living. When the American media asked the BBC what they were doing about it, the British media said: “Nothing.” The Americans said: “But why not? It is a fantastic story.” The BBC said: “We know it is a fantastic story but we are waiting for more tangible evidence.” The “more tangible evidence” they could only get by doing what I asked them to do: come to London and go through the motions of looking for Maitreya in the Asian community. If these journalists had been men of clout who, having seen Maitreya would believe, they would speak to their colleagues and say: “Yes, it is true. The story is true. I met him. He is extraordinary.” Maitreya said that would have been enough in 1982. The media want the information put in their lap. We put the information in their lap, but that is not enough. They want to see Maitreya and as soon as He raises His head above the parapet they will act. There are many journalists who met Maitreya at the Conference which He held in April 1990 in London. There were about 40 really important journalists present. They know it as well as I do. They will not take the responsibility of doing anything about it because their jobs are at stake. They have wives and family responsibilities. It is not easy. It was not easy for John the Baptist, either. A nine-year-old Argentinean girl cries ‘wooden tears’. The phenomenon began in November 2007 in the Argentinean town of Colonia Liebig, in Corrientes province. Southern California: There was mass media coverage after multiple sightings of lights in the sky in January 2008. On 1 January, Fox News Channel 6 quoted many reports of UFOs over San Diego at around 12.30am, and showed a short clip of the event filmed from the suburb of Clairmont (viewable on YouTube). The eyewitnesses describe the UFOs as being huge, with lights, and making no sound at all before disappearing at lightening speed into the distance. Allen said the lights were not those of a normal aircraft but were more like strobe lights, and that they reconfigured themselves from a single horizontal line into two sets of vertical lights he estimated to be approximately one-quarter of a mile apart. “Then they turned into dirty burning flames,” he said. “The flames were not blue. They were white in colour. About two seconds later it disappeared completely.” About 10 minutes later, the object flew overhead again from the west, travelling east towards Glen Rose “about two or three miles south of 67, and two military jets, possibly F16s, were in pursuit”. Meanwhile, WOAI Radio in San Antonio, Texas, reported further UFO sightings that same night [8 January] over the city, seen by dozens of witnesses; and MUFON (Mutual UFO Network) received reports from as far afield as Corpus Christi. 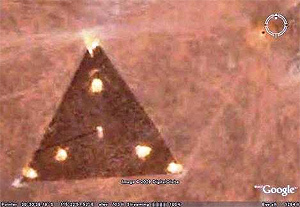 Photographs taken by satellites used by Google Earth show a large triangular-shaped craft from above. The craft was clearly visible in several shots and bright lights can be seen on each corner. This image was photographed over Western Australia. (Benjamin Creme’s Master confirms that the craft is from the planet Mars and is approximately 300 feet in length on each side). News of the death on 5 February 2008 of Maharishi Mahesh Yogi quickly circled the world. Obituaries and mini-biographies appeared, at least in the UK, in all the major newspapers and in radio and television newscasts. He was the one spiritual teacher of whom everyone had heard; his was a household name whether the hearer meditated or not. The Maharishi, as he became generally known, was a disciple of the great Guru Dev, one of the Supreme Masters of the South Indian Lodge of our Spiritual Hierarchy. Before His own departure from this life, Guru Dev instructed Maharishi to travel the world, teaching and training those who would teach what became known as Transcendental Meditation. This is a very simple form of meditation with no religious or ideological trappings. So committed, so tireless, was the Maharishi in these lengthy tours around the world, that hundreds of thousands of mostly young people took up this simple way to ‘bliss’. In 1967, the Beatles joined for a time. This inevitably focussed the attention of the media on this joyful yogi and led millions to take up the meditation. It is said that today some 5 million people do Transcendental Meditation. Maharishi’s aim was to change the world for the better; his task could not have been better accomplished. As far as we know, he never said or saw it in this way but like the many other Gurus who have come from India, the Maharishi has helped to prepare a huge group of people for the work of Maitreya. The Himalayan Cataract Project (HCP) has been helping to eradicate preventable blindness and restore sight to people throughout Asia since 1995. Ophthalmologist Geoffrey Tabin co-founded and is co-director of HCP. He is professor of Ophthalmology and Visual Sciences and director of the Division of International Ophthalmology at the John A. Moran Eye Center, University of Utah, Salt Lake City, USA. Geoffrey Tabin was interviewed for Share International by Jason Francis. Share International: How prevalent is blindness throughout the world and what are its primary causes? Geoffrey Tabin: Blindness affects relatively few people in the developed world – about three per thousand who are considered “legally blind.” That’s someone who can see the eye chart and read only the top two lines. The causes of blindness in the developed world are mostly things that we can’t prevent, like age-related macular degeneration, and other diseases of old age. In the developing world, the blindness rate is three per hundred, about 10 times greater. About 90 per cent of the blindness in the developing world is easily preventable or treatable. The World Health Organization defines blindness as “functionally blind”, where you are unable to perform the tasks of daily living. You can’t see to do the basic things that an average person needs to do to survive. About 55 per cent of blindness is from cataracts, which is completely treatable and people can have perfect vision restored. The second leading cause of blindness – difficult to prevent but preventable – is glaucoma. After that is a blindness called trachoma, caused by infection with Chlamydia Trachomatis – a very easily prevented and cured infection of poor hygiene and bad water that leads to irreparable scarring of the eye. The next leading cause of blindness is having minor trauma with no treatment. For example, you get a little scratch on your cornea and with no antibiotics it develops into a bad ulcer. River blindness, or Onchocerciasis, is caused by an infection carried by a parasitic worm, and is also easily preventable. Merck, a large pharmaceutical company, is giving out unlimited amounts of a medicine called Mectizan. The drug completely prevents the occurrence of river blindness and it’s purely a matter of getting it to the people who need it. The final cause of blindness, and the leading cause of blindness in children, is vitamin A deficiency, or xerophtalmia, lack of vitamin A in the diet. The cost of supplementing vitamin A to a child is 75 cents per year. And with 75 cents per year it also reduces infant mortality by about 30 per cent. SI: How is someone’s life expectancy affected when blindness sets in? GT: In the developing world, the life expectancy of the blind is very short. There have been several studies based on age and health-matched peers that have shown that the life expectancy once you go blind is one-third that of a sighted person; blind children fare much worse. SI: Are some causes of blindness more prevalent in certain regions of the world? GT: There are more cataracts in regions where people are exposed to intense UV [ultraviolet] sun exposure, and have low antioxidants in their diet. People who tend to eat just rice and barley and have very intense UV sunlight exposure develop blinding cataracts at a much higher prevalence. In much of the developing world – southern India and rural China, for example – people have these problems. As for some of the infectious blindnesses, which are endemic in only a relatively small region of the world, in places like southern Sudan and Congo, these nevertheless affect a very high percentage of the population. The same is true for trachoma, a disease of very poor hygiene and dusty climates. So, places like Kenya, Tanzania, Ethiopia and Sudan have very high levels of trachoma. SI: What countries does the HCP work in and how many people are treated in any given year for blindness? GT: I’ve been very fortunate because I’ve had a couple of amazing partners. My partner Sanduk Ruit is one of the most brilliant, gifted surgeons and he has chosen to remain in Nepal. [Ruit is co-founder of HCP and medical director of HCP’s Tilganga Eye Centre in Kathmandu, Nepal.] One of the big problems in the world is that the best qualified doctors leave their countries and many who don’t leave still want to live in the best situation in their part of the world. So, you have a lot of places like Nigeria where one qualified ophthalmologist treats the rich of the country. When Sanduk Ruit and I began our work together 15 years ago, he already had an idea of how to reach people in the most remote places of Nepal. We started teaching one doctor at a time to do high quality cataract surgery and developing a system where we were training ophthalmic assistants and nurses to support the doctor. We developed a system of really high quality delivery where no one does anything that somebody with a lower skill level can do. When we started, in all of Nepal there were only 15,000 cataract operations done the whole prior year. At that time, we estimated the backlog to be about 300,000 blind people, and there were about 80,000 new cases with people who were going totally blind from cataracts per year. Last year, after 14 years, a total of 170,000 cataract operations were performed in Nepal. Not only is Nepal now the only country in the region that is significantly reducing its backlog, but we’re actually treating a lot of people from the Bihar region of India as well. In terms of HCP’s direct care, we’ve done an increasing number of operations, from 10,000 a year when we were starting, up to 33,000 last year. That’s our direct care. But our main accomplishment is teaching and developing the training systems. I think these are responsible for the level and quality of cataract surgery in Nepal. We started out teaching one doctor at a time to do good, high quality cataract surgery. We expanded from there, taking some of our best cataract surgeons and sending them for Fellowship training to become subspecialty ophthalmologists, training pediatric ophthalmologists specializing in treating diseases of children – crossed eyes, pediatric cataract – training corneal transplant specialists and starting an eye bank. Once we had a full cadre of specialists – ocular plastics, glaucoma and retina specialists – we then began a full program to train full ophthalmologists. In addition we realized we needed very high quality support staff, so we started a program that is now a full three-year accredited program with Kathmandu University training ophthalmic assistants. They come out after three years, basically doing the work that an optometrist does in America and providing really high quality, basic primary eye care and supporting the doctors. So, the doctors can work at a much higher volume than most places. Then we started working in other regions. In 1994, we started the Himalayan Cataract Project in Nepal and in 1996 we began training doctors from Tibet. In 1999, we started working in Bhutan, and the following year in surrounding regions of India. Over the last eight or 10 years, Fellows come for training from Cambodia, Myanmar [Burma], North Korea. For about a year and a half I’ve been working in Africa with the UN Millennium Development Program. We have 12 research villages and are working with Jeffrey Sachs and the UN Millennium Development Project learning how to reach people in Africa. We are also doing a survey of blindness in Africa…. Venezuela is undergoing massive social change, to the delight of many and the alarm of some. The changes have important political and economic as well as social implications, because the intention of President Hugo Chavez is to move from a deeply unequal society based on a neo-liberal economic model to a socialist model which he hopes will transform the lives of the poor. The rejection of a neo-liberal model is due partly to the disastrous impoverishment of the Venezuelan people after the previous oil boom ended in the late 1980s, when the percentage of poor Venezuelans rose from 28 per cent to 68 per cent in 2003. In the developed world it is often hard to understand the huge social and economic shocks developing countries are vulnerable to, particularly when they are dependent on one or two main export products, income inequalities are acute and social institutions are weak…. Currently a process of workers’ education in the creation and management of co-operatives is under way. Similarly, in rural areas agricultural co-operatives are being set up on land owned previously by wealthy landowners. Initially there was tension between government agencies and the traditional pre-Chavez co-operative movement, concerned at the promotion of new co-operatives which were offered grants despite the lack of preparation and technical education of their members. The links between them and government agencies is now improving. President Chavez was impatient to bypass bureaucracy and more than 40,000 co-operatives were created in 2004 and another 30,000 in 2005. From December 2004 to May 2005 over 250,000 students graduated from short-term historical, technical and managerial classes that also emphasized citizenship and co-operative values. Around 195,000 students subsequently formed about 7,500 new co-operatives. Given the inexperience of many, some will fail though doubtless others will succeed, but as a vast social experiment it further empowers people through a model which may suit many developing countries, not just Venezuela. The creation of thousands of neighbourhood councils enables many people to engage in a political process involving not only local elections but also local problem-solving. This process is a method which empowers people by investing in their capacity to take responsibility, to learn to deal with local issues and to come up with local solutions. Naturally there will be many variations on the ground as these social and political processes take root, and they are still very much at the experimental stage, but through them the poor, the indigent, and sections of the lower middle class can develop a sense of involvement in the destiny of their country. This represents the formation of a grassroots movement and a transformation of power structures. To form such a council, an assembly is set up through a small group of around 200 to 400 families coming together in a local community, and then all of the community, house by house, is invited to take part, asking everyone to choose 20 people to form the promotion team which then carries out a census of the local population and reports on local problems. At the subsequent communal council elections around 13 members take charge of technology, education, security, health and so on. Executive, monitoring and financial management committees are also elected. Many see these communal councils as the basic units of the new society. Venezuela has a population of some 26 million, many concentrated in a few major towns, yet there are now more than 15,000 councils, both rural and urban – an effective way of reaching out to those who live in more vulnerable and isolated communities which were traditionally ignored by urban-based politicians. One interesting story involves a village in the Andes, about a three-hour drive from the town of Merida, itself located high up in the Andes amidst spectacular scenery. One former employee of a Venezuelan government department reported that this relatively remote village had already received legal assistance in the election procedures from an independent NGO by the time government officials arrived there to help them set up their council. Initially the officials wanted to choose the promotion team, but the local population explained that they understood the new procedures and would be electing the team and the council members themselves. This is an interesting example both of old habits taking time to change (officials are used to telling the population what to do) and new structures taking root (the local inhabitants were becoming more confident). In Venezuela there are many contradictions between older, inherited bureaucratic structures and newer, more dynamic structures, and these co-exist at present in a state of tension. Social revolutions are rarely tidy, and some concerns are justified, but Venezuela’s myriad political, economic and social experiments represent an alternative to previous policies which failed to address the basic needs of the majority of the people. 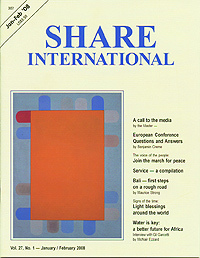 The need for action to let voices of reason be heard, is considered of such vital importance that Share International is repeating its reporting on massive peace demonstrations expected to take place around the world on 15 March 2008, in an event called ‘The World Against War’. It marks the fifth anniversary of the invasion of Iraq. Before the war, 12.5 million people in over 80 countries marching to oppose the invasion of Iraq. Many Share International co-workers around the world will be marching with banners calling for sharing as the only way to justice and peace. On the Global Day of Action (26 January 2008), called by the World Social Forum, people gathered in every continent, in as many as 900 simultaneous actions. The World Social Forum is an open forum which brings together environmental and social justice campaigners and activists from around the world. This year, instead of being held in one country with participants travelling to it, the WSF’s message was “Act Locally, Think Globally”. India – 26 separate events took place, including rallies, performances and public meetings. In Mumbai around 500 people took part in a colourful procession to highlight conditions for farmers, mill workers, small retailers and the poor. The demonstrators wanted to alert the citizens of Mumbai to an agrarian crisis in the area – as many as six farmers are committing suicide every day in the Vidarbha region of Maharashtra, as agriculture has become increasingly unprofitable in the face of global competition. Floats were adorned with banners claiming “Another world is possible” and the parade covered a distance of 11 kilometres. In Chennai, around 2,000 women and Dalits held a protest against discrimination and in Trivandrum, fishermen – one of the many groups who had never been to a WSF event before but decided to take up the Global Day of Action as their own – marched in protest against new coastal environmental laws that threaten their livelihood and promote indiscriminate tourism. “We fishworkers are affected by everything that happens globally and so decided to be part of a worldwide movement against the negative impact of globalization,” said T.Peter, President of the Kerala Fishworkers Forum. Canada – A coalition of groups – community, environmental, student, women, union and minority organizations – joined together on a cold afternoon in Montreal, Quebec. The demonstrators were joined by a group of fire dancers with the warning cry “The Snow is on Fire”, to highlight global warming. USA – Around 400 activists gathered in Atlanta, Georgia, for a ‘Peoples’ Movement Assembly’. ‘Stop building prisons. Start building communities,’ ‘No private corporate control,’ and ‘Stop the Siege on Gaza’ were some of the banners displayed on a parade through the city. Demonstrators in the San Francisco Bay region showed solidarity with the inhabitants of New Orleans, protesting about a crisis in the post-Hurricane Katrina recovery and demanding the application of the UN Human Right of housing. There are still 12,000 homeless in New Orleans and demolitions of temporary housing is planned in the city. In the Greater Boston area, the Global Day of Action preceded a week of events which included a Winter Soldier event organized by Iraq Veterans Against the War, an immigration rally, an event to challenge the Free Trade Agreement in Colombia, two demonstrations in support of the Palestinians and a talk about human rights in Haiti. Chile – A ‘human chain’ wound its way through the capital Santiago in a march planned by the Chilean Social Forum. The demonstrators stopped at street corners along the way to stage speeches and performances highlighting particular issues. For example, at one junction in the commercial district, a prisoner was pulled in a cart, drawing attention to the plight of the Chilean population, as regards electrical energy monopolies and the highest energy bills in Latin America. At a block further on, a wall of panels was erected, symbolizing the system of social ‘apartheid’ that divides the population. Lebanon – Local NGOs planned a youth cultural exchange and regional workshops addressing critical local issues like cluster munitions awareness. There was a youth-led ‘International Resistance Action’ march in Beirut’s university neighbourhood of Hamra, and a demonstration to highlight the urgent situation of Palestinians in Gaza. Ireland – Campaigners staged a protest in front of the Central Bank in the centre of the capital Dublin to highlight the effect of damaging global economic policies on people in the developing world. “The global economy has been structured to benefit rich countries and companies at the expense of the poor. We need to see a radical shift in the policies being pursued by these powerful governments and corporations,” said Nina Sachau, of organizing group Comhlámh. Indonesia – Around 800 women and men from a coalition of industrial workers, trade unionists, fishermen, farmers, environmentalists and students marched in the capital Jakarta. They covered about 2 kilometres from Thamrin to the Presidential Palace to raise issues about labour law, global warming, debt and a new economic policy which is putting land, sea and water under the control of multinational corporations. There were demonstrations in cities throughout the world in January and February 2008 as people gathered to demand an end to Israel’s blockade of Gaza. With Israel’s closure of borders to the region, around 1.5 million Palestinians are effectively being imprisoned without access to food, electricity, water and medical care. The 500,000 desperate Palestinians who managed to get through the border to Egypt for supplies have been described as taking part in the “biggest prison break in history”. A number of cities in the US held demonstrations, including Chicago, where hundreds of concerned citizens braved blizzard conditions to protest outside a benefit for Friends of the Israel Defense Force held in the Lakefront Theater on Chicago’s Broadway Avenue. The protest included many Arab-American and Jewish Chicagoans. In Boston the Coalition for Palestinian Rights gathered in Harvard Square where they stretched a full city block, standing in the cold with banners. Protesters joined organizers Palestinians for Peace and the Irish Unity Committee in Houston, who held a rally in the city centre on 26 January. ‘Free Gaza’ and ‘Stop Israel’s war crimes on Gaza’ were some of the handmade banners on display. Demonstrations were also held in Seattle, San Francisco, Los Angeles, St Petersburg, Portland and a number of other cities. People demonstrated across the Middle East, and government leaders in the region condemned Israel’s actions. Jordan’s Queen Rania, whose country has diplomatic ties with Israel, took the unusual step of urging the international community to stop the “collective punishment” of Gaza’s residents. Several demonstrations took place in the Jordanian capital where people staged sit-ins, and several thousand protesters marched through the streets of Lebanese cities. In Montreal, Canada, hundreds including students, trade union members, politicians and human rights activists joined together in a demonstration organized by Solidarity for Palestinian Human Rights (SPHR), a non-profit, student-based organization. The demonstrators handed out information leaflets and called on the Canadian government to pressure Israel to end its siege of Gaza. On 25 January households in several European cities turned off the lights in their homes for 20 minutes, in solidarity with the residents of Gaza whose electricity has been periodically cut off by the Israeli government. Earlier that day a protest was held in the Belgium capital Brussels in which hundreds gathered in front of the EU headquarters calling for the EU to put pressure on Israel to stop its siege. There were also protests within Israel, and on 26 January a group of Israeli peace activists attempted to deliver food and medical supplies through the blockade into Gaza. We present a selection of quotations which outline some aspects of the future – from Maitreya (Messages from Maitreya the Christ, and Maitreya’s Teachings – The Laws of Life), Benjamin Creme’s Master (A Master Speaks), and Benjamin Creme’s writings. To show men that the way into the future lies through Love and Justice, have I come. To take men into that future and to show them the Ways of God, am I here. Be then, My dear ones, ready to receive Me, to work with Me, to dispel the fog of fear and ignorance which enshrouds mankind. Take, then, My hand, and let Me lead you into that golden future in which those who are ready shall see the face of God. Let us understand the nature of the task which [Maitreya] has set Himself. To establish in our midst the fact of God, has He come. To recreate the Divine Mysteries, is He here. To teach men how to love, and love again, is He among us. To establish man’s brotherhood does He walk the Earth once more. To keep faith with the Father and with man does He accept this burden. To usher in the New Age has He returned. To consolidate the treasure of the past, to inspire the marvels of the future, to glorify God and man has He descended from His high mountain. Let us look at His priorities: the establishment of peace; the inauguration of the system of sharing; the removal of guilt and fear – the cleansing of the hearts and minds of men; the education of mankind in the laws of life and love; an introduction to the Mysteries; the beautification of our cities; the removal of barriers to travel and interchange of peoples; the creation of a pool of knowledge accessible to all. My Masters will show you that there is little which you cannot effect if you but try. All is possible to man. All that man needs is provided by his Source. The Great Provider remembers His children. The first priority for Maitreya is the establishment of true peace in the world: the abandonment by humanity of war and the competition that leads to war. This can only be achieved by fulfilling the needs of all the people…. Many await My Coming with reverence and also with some fear. My Coming will mean the end of the old order of things. All that is useless, no longer serving the purposes of man, can now be discarded. This will cause many to grieve but so it must be. My friends, My children, I am here to show you that there exists for man a most marvellous future. Decked in all the colours of the rainbow, glowing with the Light of God, man, one day, will stand upright in his divinity. on the basis of Love, on the basis of Sharing, on the basis of Brotherhood. What is necessary is a total change in our social structure throughout the world. This involves, in the first place, working through the existing governmental structures in order to change them. The involvement of all sections of society in the construction of the new order will ensure the speedy adoption of the necessary measures, so that in this process the very nature of government, as we visualise it today, will change….